And just like that ladies and gentleman it is game time here in the Bronx between the New York Yankees and the Cincinnati Reds. 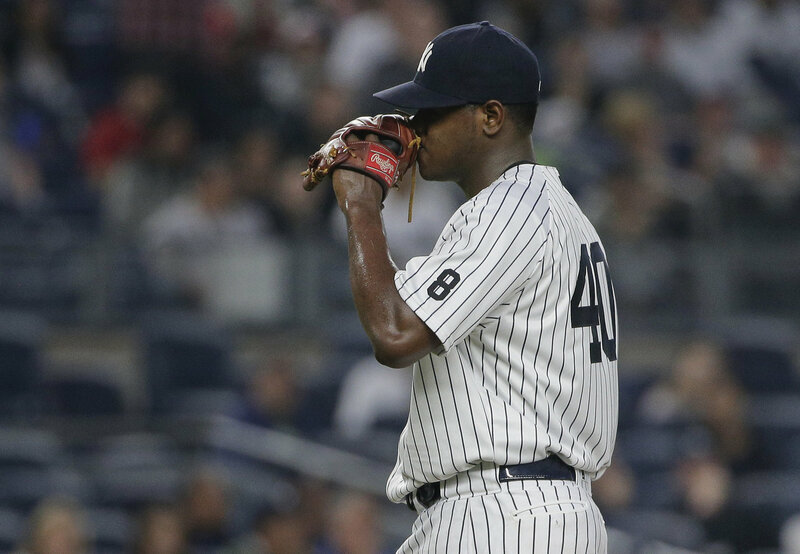 In this afternoon game and in the finale of this quick two-game interleague set the Yankees will send Luis Severino to the mound to square off with Homer Bailey for the Reds. The game will be played at 1:05 pm ET inside Yankee Stadium and can be seen on the YES Network, MLB Network and MLB TV. You can also follow along on the radio and in your cars by tuning into the WFAN broadcast. Follow us on Twitter by following @GreedyStripes and enjoy the game. Go Yankees!! And don't get caught by your bosses watching and listening to the game at work this afternoon. And yes I know you're not supposed to start a sentence grammatically with the word "and" and yes I am fully aware that I did it three times in this post, and that is part of the reason you love me so much. Right?